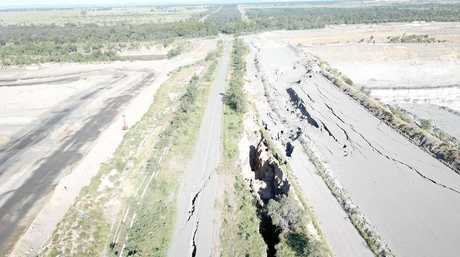 SPECTACULAR drone photographs of the five-months-shut Gibihi Rd have revealed the true extent of the mine blast damage. Grain farmer John Eden's property borders the Dawson Mine in Moura, and he captured these images only 3km from his 600ha property. "The hole gets progressively bigger every time they let a charge go," Mr Eden said, back on his tractor after meeting with the State Member for Callide Colin Boyce. 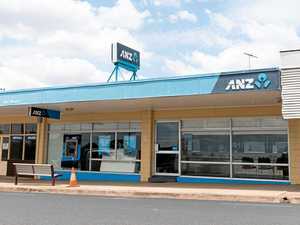 It was just one in a series of discussions a desperate Mr Eden has had with politicians, the Banana Shire Council, and Anglo American - the company responsible for the blast and clean-up. 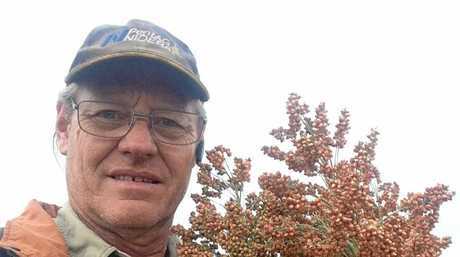 Moura grain farmer John Eden's property borders the Dawson Mine, Moura. 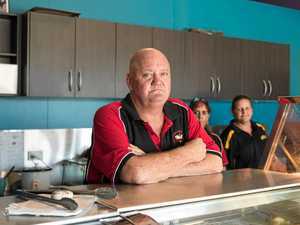 The Moura businessman has monitored the site from above since the initial blast split the thoroughfare on November 9 last year. He said the "initial damage" had increased, as indicated in the photos he took yesterday morning, he claims following a mine blast the previous day. "I wouldn't say substantially, it's certainly worse now than it used to be," he said. 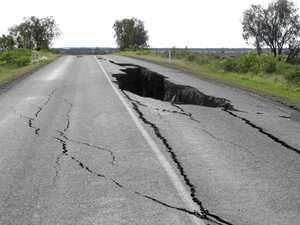 "The crack in middle of bitumen road the same... but the big crack beside the road to the north it has moved." 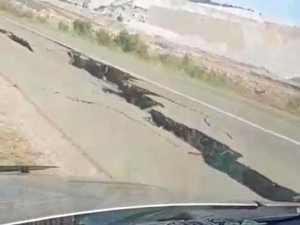 A video posted to social media first alerted the public to the crack following a "routine blast" in early November. 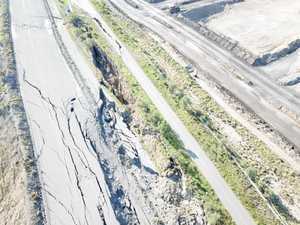 It has since caused chaos for commuters as the road is shut down forcing locals, trucks and couriers to find alternatives, at times four-times the distance. 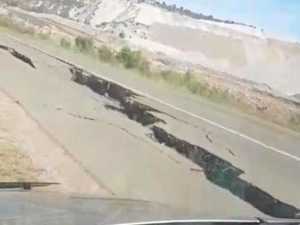 Mr Eden said said he feels like he's "hitting his head against a brick wall" as his business continues to pay the price of the road damage, with seemingly no negative impact on Dawson's operations. "I'm affected bigtime," he said. "One third of my farming operation is on the Gibihi Rd, so it impacts reasonably heavily on me. "Instead of being an 11km drive to town, its 45-46km. "It makes a big difference, especially if you are carting grain that extra distance it's a big in-cost on the business and everything has to go that bit further, and time." He said the situation also impacted his staff's WorkCover, as he had to cover them for longer, and fatigue. The broader implications were some freight and haulage services avoid the area altogether. The Morning Bulletin contacted Anglo American after Mr Eden's photos were shared to social media yesterday. They did not respond by time of publication. 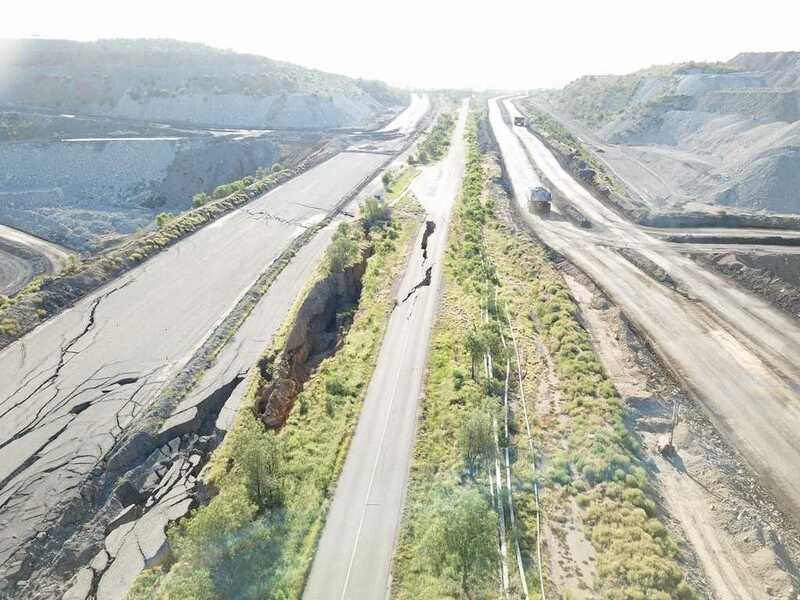 In their most recent statement, following a well-attended community meeting last month, the company said results of their in-depth geotechnical reviews indicate "underlying rock has been progressively weakened by legacy mining operations". 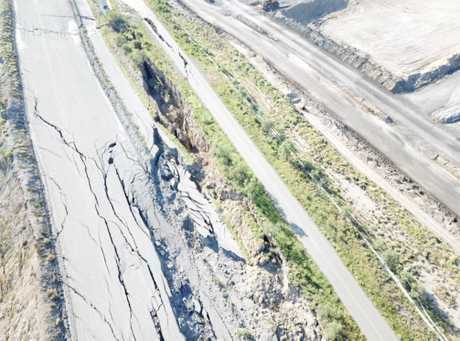 "Additional cracks exist in the rock underneath Gibihi Road making the area extremely unstable. 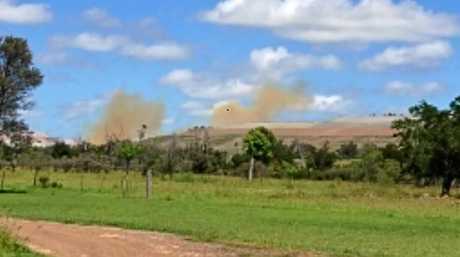 "Vibration from the routine blast at Dawson mine on November 9 triggered rapid rock movement and subsequent cracking." 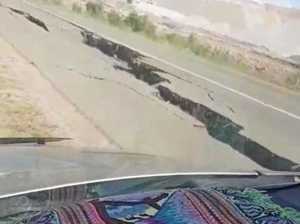 At the time, they said re-opening the road was "not a viable option".